Big Sky Resort averages over 400+ inches of snowfall every year. 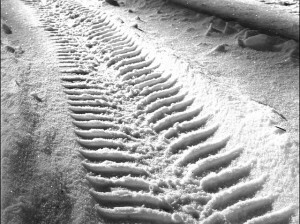 This brings a smile to every skier and rider's face, but it causes winter drivers to get a little anxious. 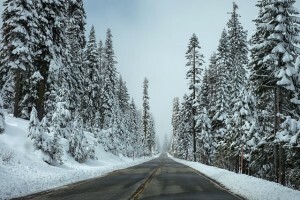 Winter in Big Sky often means crazy winter weather like blowing snow, high winds, ice covered roads, frosty pavement, drifting fog, and frigid temperatures. Big Sky's winter environment often presents challenging conditions like these that can be a recipe for disaster on Big Sky's roads. No one wants to see ice on the Big Sky Spur Road or snow packed pavement while heading down the winding Gallatin Canyon. When you're driving in Big Sky Country always be cautious, alert and ready for the unexpected. It's your responsibility to keep yourself and other people on the road safe. Conditions change from one turn to the next so always drive carefully. If the weather is really bad, don't drive. Either stay at home or utilize public transportation, like the Skyline Bus. If you have to drive, be sure to check the Montana Department Of Transportation Road Report for the most up-to-date road conditions. Be careful when you drive on winter roads. Drive safe and stay safe so that you can enjoy Big Sky, Montana.